Intuit has announced QuickBooks 2019 for the desktop, here’s my quick rundown of what is new, and changed, for this year. It is not clear to me at this time what the requirements are for the system to save the “viewed date”. I thought that this would only work if you used QuickBooks Payments, but one source told me that all you had to do was email the invoice via QuickBooks. It is something that I have to look into. Also,this might not work if you are using Outlook for email, although I’ve not confirmed that yet. This feature is available in all versions of QuickBooks 2019 desktop. If you are creating a Check for a vendor that has an open vendor bill, QuickBooks displays a new Check for Bills window. You can then choose to either go to the Pay Bills window, or continue to write the check. This will help users to avoid creating a Check when the proper step would be to create a Bill Payment. This is available in all versions of QuickBooks 2019 desktop. If you have open credits that have been created for a particular job, you can now apply them across all jobs for that customer, instead of being restricted to just that job. This will show in the main ribbon menu in the Invoice window (Apply Credits). To support this, QuickBooks will record an in/out transaction through an Other Current Asset account named “Account for Credit Transfer”. This GL account will be added automatically by QuickBooks the first time that you use this feature to assign a credit to another job. The interesting thing to me is that this account will be listed as “inactive” on the Chart of Accounts to discourage users from selecting it during normal transaction entry. I don’t recall Intuit doing that kind of thing before? Transfers from one job to another within the same customer cannot be undone. The first QuickBooks user to use this must have Chart of Accounts access permission. The Transfer of Credits and Apply Credits will not work if you are working with an Accountant’s Copy of a client’s data. This is a change that I want to spend more time investigating, to be sure it truly works the way it should. I expect it does (but I’m a cautious person), and if so then thank goodness they made this change! I’ve complained about this for years – many inventory reports will not reflect the value of items that are marked as “inactive” but that have a value on hand. Best practices are that you shouldn’t have any items like this, but we see it often. In this case, the value of inventory shown in these reports won’t match the inventory value in your Balance Sheet. It has been a big problem in QuickBooks for some businesses for as long as I can remember. 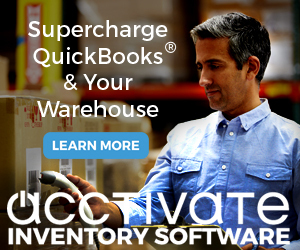 In all desktop versions of QuickBooks 2019, the Inventory Valuation Summary and Inventory Valuation Detail reports will have an option to include inactive inventory items. With any desktop version of QuickBooks 2019 using an Enhanced Payroll Subscription you can now set an employee’s accrual limits for sick or vacation pay. Once you do, you will be warned when saving a paycheck transaction that exceeds the available sick and/or vacation time. In addition, paystub formatting has been updated to include: Accrued, Used and Available sick and vacation time. In QuickBooks Enterprise 19.0 only, the process of assigning user permissions for payroll have been modified. You will be warned when assigning a permission that grants payroll transaction access. In the Role List, if a role has an asterisk (*) next to the name, it permits access to sensitive payroll transactions. The IIF file format is an old one, around for ages. I always tell people to avoid using it to import data because of the very strong possibility of creating corrupted/erroneous data in your QuickBooks company file. I recommend using a tool like the Transaction Pro Importer, which uses the QuickBooks SDK, and that is much more reliable. However, IIF is used by many businesses, and by some Intuit functions (very few), and it has stuck around all this time. In all versions of QuickBooks 2019 desktop, Intuit has improved the import feature to do a better job (they say) of validating imported data. A file of records that cannot be imported is created. I’ve not had a chance to test all of the issues that can occur, but this is a nice improvement. I never use this service, so I can’t really comment about it. There are much better ways to back up and protect your data. However, if you use it, there are improvements, such as the ability to include other data, and improved notifications about backup status. This is a feature that you will find in earlier versions of QuickBooks, but there are some improvements here. You’ll find this in the File/Utilities menu, as well as in the Accountant menu. There are new options in this release, such as the ability to just remove the audit trail. The Pick workflow was included in the platinum subscription to QuickBooks Enterprise 18.0. This has been expanded to add a Pack and Ship workflow in QuickBooks Enterprise 19.0, if you enable Advanced Inventory. Expanding on the pick workflow from before: From the Sales Order Fulfillment Worksheet Dashboard, the Sale Order is sent for packing and assigned to a Warehouse packer. That Warehouse packer records the picked products as boxed and, optionally, notes the weight and dimensions of the package. The details of the products packed are updated in the QuickBooks Enterprise sales order. Back in QuickBooks Enterprise you will prepare the documentation for shipping, optionally using the QuickBooks integration with a FedEx, UPS, or USPS account. iCloud Document Sharing – A convenient method for sharing QuickBooks for Mac file using iCloud sync. Modify your books on your work Mac computer then continue where you left off on your home Mac computer. Bank and or Credit Card Reconcile Discrepancy Report – This identifies changes made to reconciled transactions created with this release or later. Square Import – You can import sales data from Square via use of .csv file type. An old fashioned method, and I’m not sure that I like this, but it is there. Email Tracking – Track dates emails sent with a tab in the Vendor and Customer centers. Report Windows – Improved spacing and readability. User Passwords – Passwords are now required. Personal information is encrypted. Employee Pay Adjustment History (All QuickBooks 2018 desktop releases R3 or later). Move QuickBooks to another computer (Found in 2018, not sure what release). Condense Data – I’m not sure when this came out, it is possible that in 2019 they improved the feature? I see it in 2018. 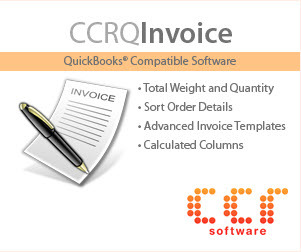 Purchase Order Management Worksheet (QuickBooks Enterprise V18 R5 with a platinum subscription). Your articles are always informing . 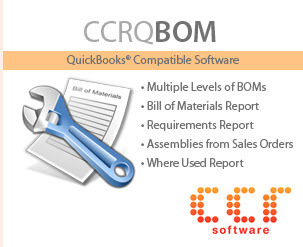 Are you able to tell me roughly how many users are there for Desktop Quickbook opposed to QBO? That is really hard to pin down, Chandra. If you look at Intuit’s most recent fiscal year end statement, they claim 3,412,000 QBO subscribers worldwide. They also claim 749,000 desktop units sold, and another 385,000 desktop subscribers. However, that doesn’t tell you how many “users” on the desktop, as many people only purchase a new version every third year (when their product is retired), many others don’t renew even that often. Also, I sometimes wonder about how they determine the number of QBO subscribers, since there are many trial versions in play at any given time, and also all ProAdvisors have a free subscription to QBO. This time last year I had about 8 “subscriptions” open at one time, as I was using different QBO trial subscriptions to test features. I’ve not done a trend analysis of the numbers this year. And the most important point isn’t necessarily number of users, it is the revenue generated by each segment that is the most important. Great article Charlie, as always. Transfer credit between jobs!??? This is a much-needed feature because it has been very difficult to handle the situation when the customer sends one check for multiple jobs, reducing the total for any credit balances on jobs. But if it cannot be undone, that could be problematic. Will have to dig deeper into how this works. Someone will probably have to create a workaround for fixing it when there is a mistake in how the credits on jobs are applied to other jobs. Good to hear from you, Doug! « Intuit Leadership Changes – Good for QuickBooks?